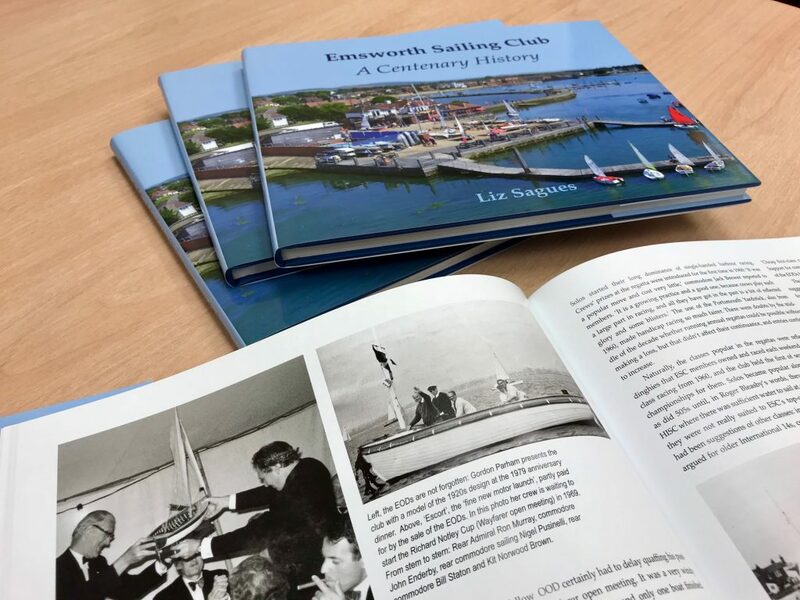 We are delighted to have printed this Case Bound book for Emsworth Sailing Club to celebrate 100 years of activity: 1919-2019. The book was designed and typeset by Liz Sagues. The hardback book was printed on our advanced low energy UV Komori press, the sheets were then folded, gathered, thread sewn with end papers and cased into a cloth covered case with gold foil blocked lettering. The gloss laminated dust jacket was then wrapped around the book to finish. The book, which was enthusiastically received by around 200 members at the launch event, features photographs and stories from the past century. It is a fantastic record of the club for the future. This entry was posted on Tuesday, November 13th, 2018 at 6:49 pm by Tim Tyler and is filed under Company News. You can follow any responses to this entry through the RSS 2.0 feed.